In this article, we cover the details of how bond insurance works, how it is priced and why it is worth the cost. We also take a look at how insurance benefited bondholders through Detroit’s bankruptcy and, more recently, with Puerto Rico bonds. Bond insurance is purchased to protect an investor in case of default by the bond issuer. If the issuer defaults, the bond insurance company makes the interest and principal payments to the investor, which gives the insurer the right to exercise whatever remedies would have been available to the investor if there were no insurance. Using those rights, the bond insurer will later attempt to recover from the issuer the claim payments that the issuer was supposed to pay. Just as we pay insurance premiums for home or auto insurance, the bond issuer pays an upfront premium to the bond insurer to “wrap” or insure their bonds when issued in the primary market. Bonds can also be insured in the secondary market, where a broker-dealer or investor, rather than the issuer, pays the premium. In the primary market, the issuer or, more likely, its banker or financial advisor will approach a bond insurer prior to issuing bonds for a premium quote. The insurer will analyze the credit of the issuer to determine how much premium to charge based on the amount of risk and the potential savings to the issuer. The premium quote is either provided directly in a negotiated transaction or made available to underwriters bidding for competitive transactions. In the secondary market, a request is made by investors or broker-dealers to the insurer to wrap uninsured bonds already trading in the market. The two underwriters of bond insurance, Assured Guaranty and Build America Mutual (BAM), have lists of pre-approved credits they are willing to insure in the secondary market. It is possible to obtain secondary-market insurance for qualified bonds covering as little as $50,000 of par. Bond insurers complete a credit review to measure the riskiness of the issuer to determine the amount of premium to charge. This process includes reviewing the official statement, several years of financial statements and the bond indenture. It will also take into account economic, demographic and political factors that could affect both the issuer’s long-term ability to pay and its future willingness to pay. 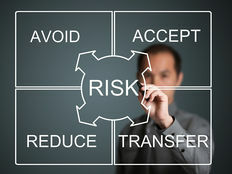 Qualitative and quantitative factors are considered, and the higher the risk, the higher the cost to insure the bonds. The issuer generally pays the full premium at the time of issuance. The amount of premium is quoted as a percentage of total debt service, which includes total interest and principal payments over the life of the bonds. A bond issue with total debt service of $100 million with a premium quoted at 25 basis points (0.0025%) would equate to a premium charge of $250,000. Bond issuers only insure bonds when it provides the benefit of lower borrowing costs. The additional protection investors receive from bond insurance means they will receive less yield on an insured bond than on the same bond if it were uninsured. The only time this would not be the case is if the insurer has a lower credit rating than the issuer or the insurer is distressed. In that case, the bond wrap would not add much value and the insured and uninsured bond could trade at similar yields. The chart below shows the municipal yield curves as of June 30, 2017. Assured Guaranty and BAM currently have AA ratings from S&P. This is important to note because according to the yield curves, issuers rated A or lower could benefit from lower yields by insuring their bonds. In certain market conditions, like those in the chart below, even some longer-term AA bonds could benefit from insurance. Peace of Mind – One of the primary reasons for choosing muni bonds is the benefit of tax exemption. 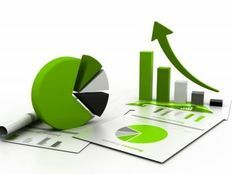 These investors are not necessarily looking to take on substantial credit risk but are rather allocating assets to munis to optimize their after-tax return. By conceding a few basis points of yield, an insurance wrap gives an investor peace of mind with the additional credit protection. Insurer Handles the Litigation – In the case of default, not only are investors protected, but they don’t have to worry about suing the bond issuer since the bond insurer handles the litigation process. In the 2013 bankruptcy case of Detroit, Michigan, bond insurance clearly paid off. Insured bondholders of the city’s unlimited general obligation bonds had a recovery rate of 100%. Meanwhile, the bond insurers battled the city in court and ultimately settled on a recovery rate of 74%. The insurers took 26% in losses. The limited GO uninsured bondholders fared far worse with recovery rates as low as 41%. 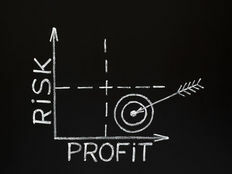 Price Stability – In addition to the protection that insurance provides in a default scenario, insurance can decrease the volatility of a bond’s price. The chart below compares the price of the same maturity and coupon of general obligation bond issued by Puerto Rico. The only difference is one of them has an insurance wrap from Assured Guaranty. The insured bond initially fell but recovered back above par, where it has remained. Meanwhile, the uninsured bond has continued trending lower. Insurance can also provide price stability in case of natural disasters such as the recent hurricanes. Initially, investors may react to an approaching storm by selling bonds in potentially affected areas prior to the storm making landfall, which could lead to lower prices. As outlined in this S&P report, insurers can assist municipalities in times of such crisis by covering liquidity claims for bond payments that cannot be made due to power and communication outages. Although there was not widespread selling of Texas and Florida munis prior to landfall of Hurricanes Harvey and Irma, insured bonds should outperform uninsured bonds in such a scenario. Low Cost of Insurance – This can best be exemplified by an actual case. Consider Missouri’s St. Louis Lambert International Airport, which issued bonds during the week of June 5, 2017. The underlying rating for the airport is A- from S&P and A3 from Moody’s. According to Bloomberg data, the A-rated revenue yield curve indicated the 10-year bond (791638D89) maturing on July 1, 2027, should have yielded around 2.43% without an insurance wrap. Instead, the bonds were issued with an Assured Guaranty wrap so the rating improved to AA from S&P and A2 from Moody’s. The bonds were priced at a yield of 2.26% or 0.17% lower than where 10-year A-rated bonds were indicated to trade. On a $10,000 investment, that 0.17% difference means the insurance costs are about $17 per year as a result of the lower yield. In this case, the benefits of the insurance clearly appear to be worth the cost. Insurance has provided good value to owners of municipal bonds that have defaulted or become distressed in the past. The benefits of bond insurance make it worthwhile to consider a modest yield reduction to pick up the additional safety bond insurance provides. This cost should be evaluated by comparing the yields of insured bonds with similar uninsured bonds. When an insured bond is available, the bond insurance is frequently worth the cost.